English Club TV Ltd. and My-HD Media, the first and only ultra-low Direct to Home (DTH) HD Pay-TV platform in the MENA region, have signed an agreement to launch English Club TV Channel. Since April 07, 2016 the international edutainment channel English Club TV is available on the DTH HD Pay-TV platform. English Club TV Ltd. is a part of English Club TV Group. The English Club TV Group is a group of production, education and distribution companies that operates worldwide in the field of English language education teaching under the brands of “ENGLISH CLUB TV” and “ECTV”. English Club TV is an educational channel for those who study English. It is broadcast in 76 countries in Europe, Asia, Africa and Middle East. For more information please visit our website http://english-club.tv/news/. 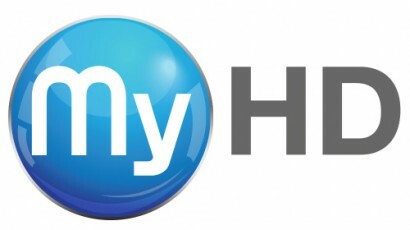 Established in 2012 and headquartered in Dubai Media City, My-HD is the first and only ultra-low Direct to Home (DTH) HD Pay-TV platform in the region. The High Definition satellite Pay-TV provider aims to provide the best viewing experience to consumers in the MENA region at an affordable price. My-HD offers a range of packages to serve the various needs of the different communities in the MENA region.